Behind the India-Pakistan Tension: Kashmir is Struggling to Survive! 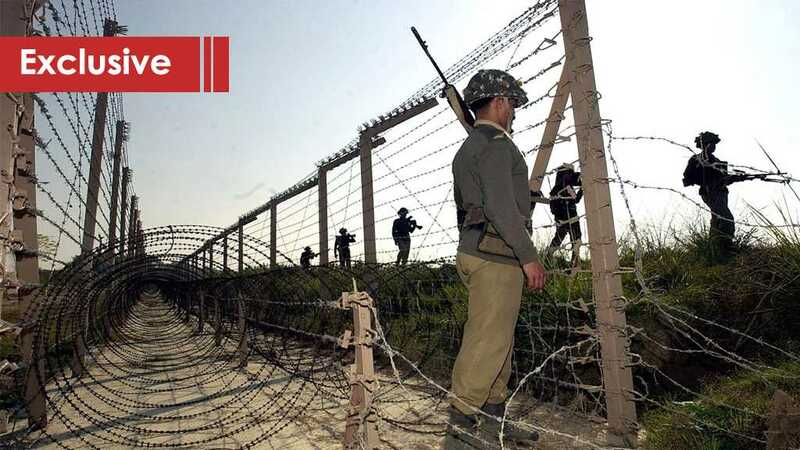 Beirut – While the military situation was heading to further escalation between New Delhi and Islamabad, an area stranded between them has not but barely come to the spotlight. As always, mainstream media intend to serve the interests of its drivers; but unlike them, our website took it upon itself to shed light on the humanitarian aspect, bringing to the spotlight the suffering of Kashmiri people amid all these developments given the upcoming annual Indian elections. Commenting on the situation, Kashmir-based PHD candidate Ms. Arshi Javid** told al-Ahed news website that 10,000 students have been forced to leave India and return to Kashmir during the tension, while Kashmiris staying at home were barely living amid the lack of fuel, food and security in their place. When India declared independence Kashmir was made a part of India on the condition that after sometime we will ask you, we will do up a plebiscite about the right to self-determination in Kashmir asking where do Kashmiris want to join. Ever since, India has not fulfilled the promise, she explained. In 1989, a militancy erupted because India has not fulfilled the promise and people want to express their decision whether they want to be with India or they want to be with Pakistan or they want to be independent, which India never gave it. So this militancy has been startled for years. Now, the condition is that organizations like Jaish-e-Mohammed, Hizbul Mujahideen… all these organizations are militant organizations… The blast on the 14th of February was performed by one particular organization. They claimed we have done this suicide bombing. After this, there was this call of revenge across India that we have to take revenge for this, she added. Saying that it was the first reaction of people, Javid explained that then, there was this call of taking revenge. On the nights of Monday and Tuesday [February 25, 26] we heard the news that Indian Air Force has crossed into Pakistan and they have attacked the place where these ‘militants are getting trained by the Pakistani state.’ In order to assuage those calls for revenge, there were a major blunder of Indian Air Forces entering Pakistani territory, and there is no clear record on how many people did they kill there and what is happening there. Pakistan said they have not been able to kill anybody, in fact the place they attacked is a forest, it is not inhabited by any human; it is a forest. So whatever they have made they have hidden some details, they have kept it confidential. But India was the first one to have entered the escalation and perform airstrikes. The lady went on to add that on the next night, Pakistan entered Indian airspace and carried out some airstrikes which they said wouldn’t have done but are in retaliation to what was done. Pakistan managed to get hold of one of the Indian pilots, but Pakistan has once again gave a message that we don’t want to go for war, we want to talk and we would also return your pilot. The Indian leadership for its part said it will not escalate because our very important soldier is with Pakistan, she added. Whose interests does the escalations serve? De-escalation is connected to an important thing: India is going for annual elections this year, the ruling party has not performed very well, and it has very bad indicators in terms of the horrible GDP, human rights reports, the monetary values have decreased… I think this will depend on what kind of this party, the ruling party (right-wing Hindu party), they have always resorted to war and dirty tactics for electoral games. 20 days ago, it clearly looked that the ruling party might not come back to power. If they don’t come back to power thy will lose the ground. But in those same days, the situation has started turning in their favor because their narrative against Pakistan and against terrorism is very strong, and so far, it is like the balance with people, they are very good at this narrative as a strategy for electoral games. I think if the party thinks the job is done and that they have managed to direct it, they might just stop. But if they need some more mobilization, there would be no end to it until elections. To give it clearly, there is only one party which is gaining out of it. It is not the first time suicide attacks have happened in Kashmir. This is not the first time suicide attacks have targeted the army. It is not the first time Jaish-e-Mohammed has done any attack in Kashmir. This is not the first time any Kashmiris had picked up guns, but the timing of this suits the elections. Largely, it will depend on reports they will get about their own parties. Are they in the position to win or gain some more votes? Until the time their position is not built they will not de-escalate. Events like this are a routine story in Kashmir, but this time it was played very well in media. Every other day something happens in Kashmir, but it is up to media to decide whether to play it up or not. What this current Prime Minister [Narendra Modi] have done is that he has purchased all the media, 98% of the Indian media has been bought by him. It was played up very well by the media. While I do understand that killing 40 soldiers is a big injury and it will have repercussions, but this man has been able to press down any news and press up any news, he can do anything that he wants to do. **Arshi Javid is a PHD candidate at the Centre for South Asian Studies, Jawaharlal Nehru University.